The following steps provide steps to create and install a Self Signed certificate on Server 2008. You will first need to access Server Certificates section of IIS. b. 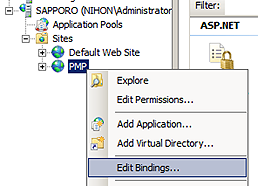 Within IIS, select your server and in the list of Features Icons double click the one labeled Server Certificates. A wizard will open allowing creation of a certificate. Specify a name for this certificate. No specific name is required for this. 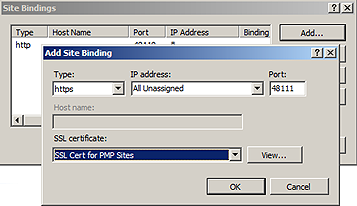 Next you will need to configure the PMP site running Print Manager Plus’ Web Add-Ons to use this cert. While the above steps will properly encrypt the session, it is not a fully trusted certificate and will present users with a warning when browsing to the site. It is strongly recommended that you obtain a trusted certificate, especially in any of the following cases.